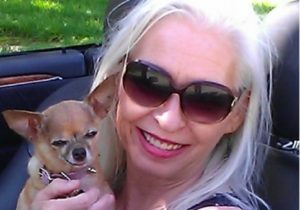 About us, My name is Sheryl Arndt and I am a Real Estate Broker and Mortgage Lending Professional with 25+ years of experience. Frank and I have been together for 19 years as a team. 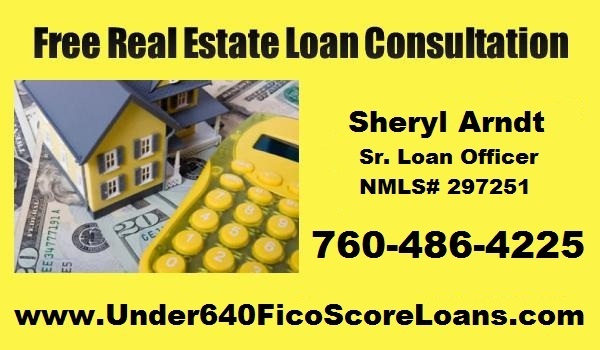 I specialize in assisting clients with rather tougher credit profiles and Under 640 Fico Score Loans. I do credit repair at no cost for my clients, to raise credit scores to qualify. We offer a wide variety of loan programs such as FHA down to as low as 500 fico, Down Payment and Closing Cost Assistance Programs in CA, USDA Rural zero down program with a minimum 620 fico in CA, VA/CalVet no down payment no closing costs, conventional home loans and jumbo home loans up to 3 million. Jumbo available from a minimum 540 fico. I pride myself on assisting the many clients that want to buy a home but need a little credit repair in order to qualify to buy. I believe that the American Dream of Home Ownership should be available to everyone. I am here to help everyone achieve that Dream in any way I can. In today's market you can buy a home with a monthly payment that is less than what most are paying for rent. This can be done with little out of pocket expenses. More about us, Frank is in charge of the advertising and maintaining our websites. Myself as a Real Estate Broker, I have trained many Real Estate Agents. We have associate Real Estate Agents and Brokers throughout CA to assist our clients that I refer to them. They show homes and get them into their home purchase with as smooth as possible of a process. I participate in and monitor each transaction personally. There are so many ongoing changes in this industry that my 26+ years of experience in negotiations, structuring and facilitating the home buying process is an invaluable asset in today’s real estate market. 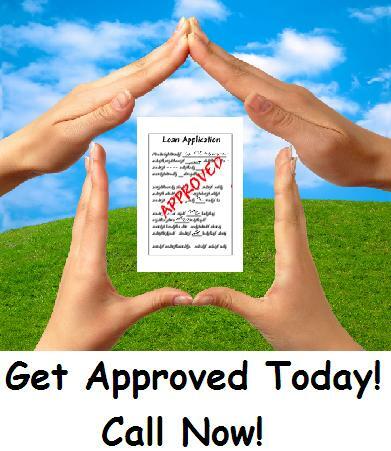 As a licensed Senior Loan Officer I provide loan programs throughout CA. I include the rural small communities that are often underserved. 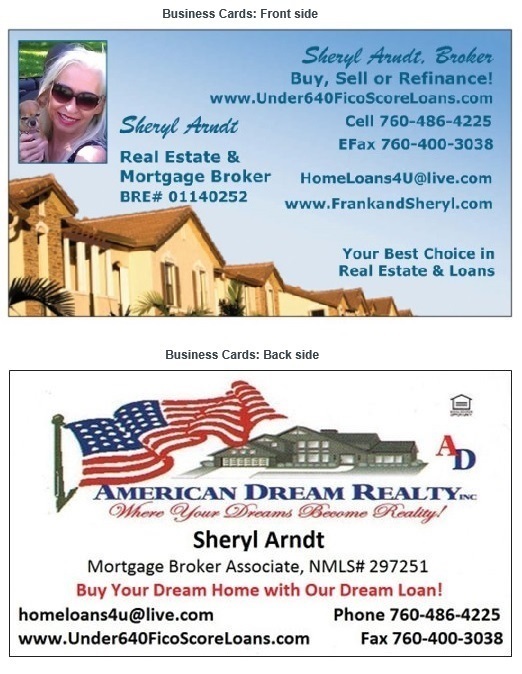 I offer advice and home loan assistance to many Agents/Brokers and their clients throughout CA as well. I look forward to speaking with you and can pre-approve you with a few dozen questions in minutes. A pre-approval letter or DU Approval can be issued within 24 hours of receiving the needs list documentation. The pre-approval letter will allow you to begin shopping and submitting offers on homes of your choice. I can have Full Underwritten Loan Approval within 24 to 48 hours to ease the transaction flow towards funding and beginning your life in your new home. It is a fantastic time to buy with record low interest rates, so don't miss the boat with home prices on the rise. Inquire now for the loan program that will fit your financial needs and Buy Today. You Have Nothing to Lose and EQUITY to GAIN! I am also a Navy Veteran and love assisting fellow Veterans with VA loans and the process of buying a home. We also offer Self Employed 12-24 month bank statement programs. We have Foreign National Loans, 70% LTV, Up to 2 million. I have the mortgage loans and homes for you in CA. 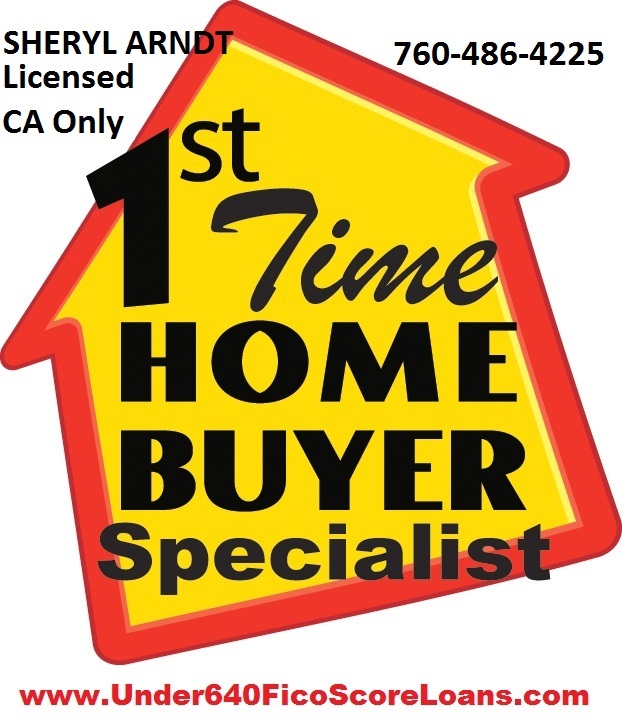 I am a buyers agent for Riverside county, Los Angeles county, Orange county and San Bernardino county. Frank Shaw is Sheryl's other half. You will need to collect some documentation such as one month paystubs/income, two months bank statements, two years tax returns and copies of your drivers license/ID and social security cards for each applicant. BUY, SELL, or REFINANCE today!